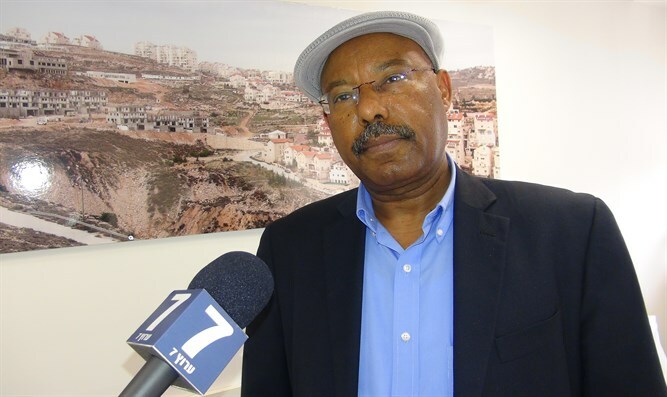 Ethiopian MK returning from visit to northern Ethiopia says hundreds of Jews are trapped because Israeli government doesn't want them. Immigration and Absorption Commitee Head MK Avraham Negusa (Likud) led a delegation of MKs to Ethiopia. In an interview with Arutz Sheva, Negusa said he discovered "a shameful sight" of thousands of Jews held up by various excuses, and who are not being allowed to immigrate to Israel even though the Israeli government approved their immigration. "It's sad to see so many Jews who should have come to Israel but are instead living their lives in a foreign country," Negusa said. "Despite the government's decision to bring 9000 Ethiopian Jews to Israel, only 83 were brought. We've heard a lot of excuses, and we wanted to see for ourselves what is happening. We arrived in Ethiopia in order to supervise the execution of the israeli government's decision, and to find out what's holding it up. "We arrived on Thursday - and the Interior Ministry in Gondar only started working on the Monday prior to our arrival. In Addis Ababa, Ethiopia's capital, they haven't even started working towards helping these people make aliya (immigrate to Israel). The Interior Ministry said the Israeli consulate had not given them the necessary space. We spoke to the consulate, and they showed us the rooms they had set aside. They're constantly making excuses not to bring our brothers to Israel. "It cannot be that the Israeli government does not fulfill its promises or execute its decisions. If the government does not respect its own decisions, we have a huge problem. If, in a democratic country, we ignore our own decisions - then we have a big problem. "As MKs, we need to supervise the execution of the government's decisions. We return to Israel disappointed, angry, and bitter. The Ethiopian Jewish community is in dire straits. Hundreds are dying in Addis Ababa and Gondar. "We will unite the Knesset, including the opposition, and we will pressure the Israeli government to bring our brothers home. It's time to end the discrimination. "All the Jews of the world immigrate to Israel and are accepted with flowers and parties - but Ethiopian Jews are not wanted here."